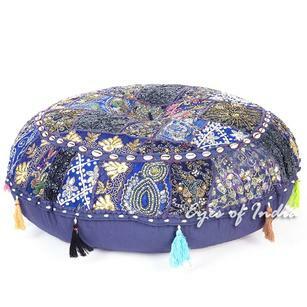 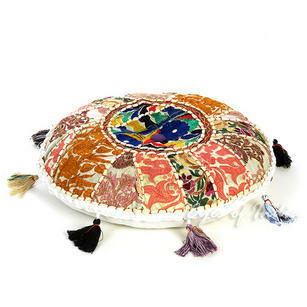 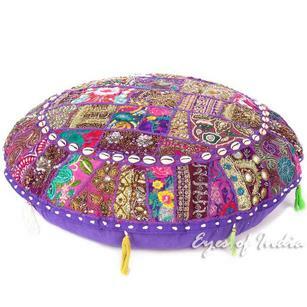 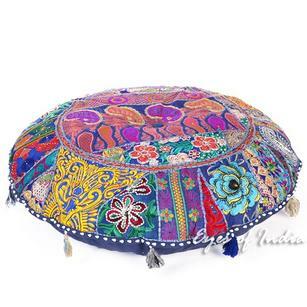 | Purple Chindi Rag Rug Sofa Throw Colorful Floor Meditation Pillow Cushion Bohemian Boho Cover - 24"
Purple Chindi Rag Rug Sofa Throw Colorful Floor Meditation Pillow Cushion Bohemian Boho Cover - 24"
Our durable and unique Chindi floor pillows are truly dazzling and one of a kind. 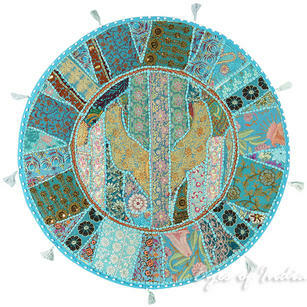 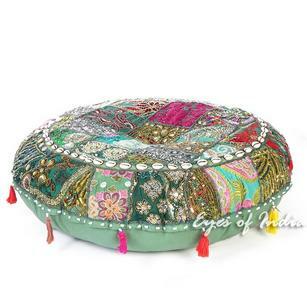 Each piece is a unique mosaic of gorgeous colors, expertly stitched together using reclaimed fabrics. 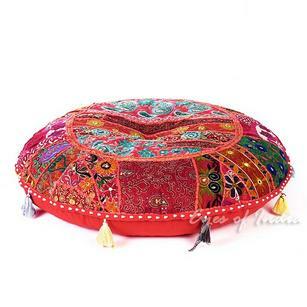 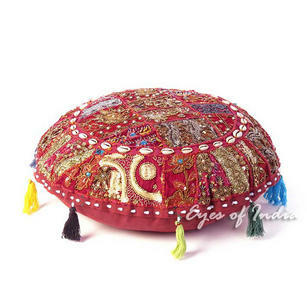 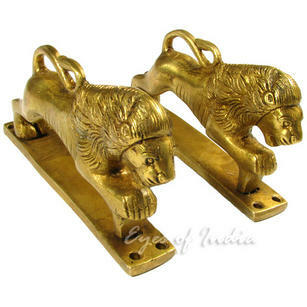 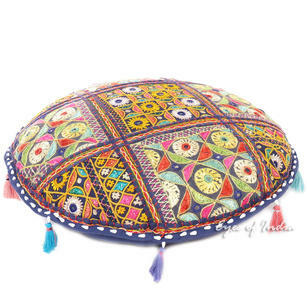 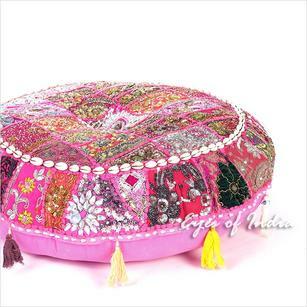 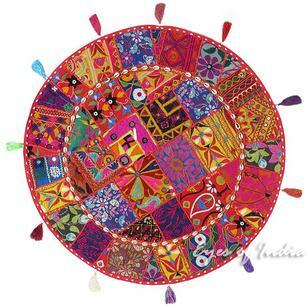 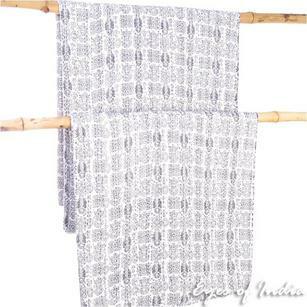 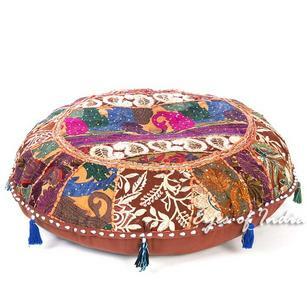 Made in Jaipur by expert artisans, no two pieces are alike. 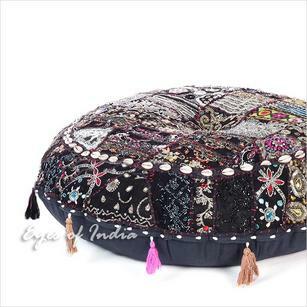 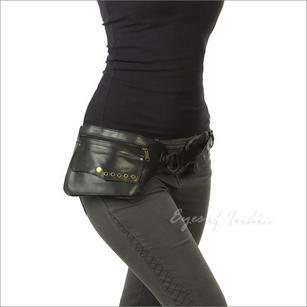 The item you are buying is the cover only to make shipping weight less, but inserts are available cheaply online. 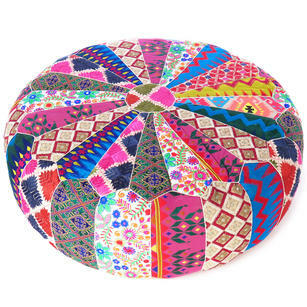 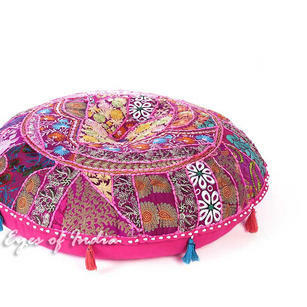 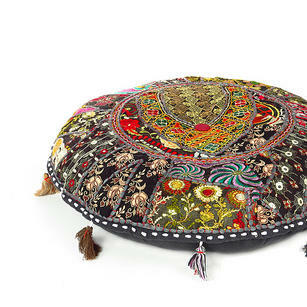 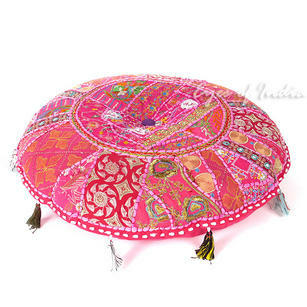 These Chindi floor pillows are a great way to add some extra seating space that's comfortable, funky and fun! 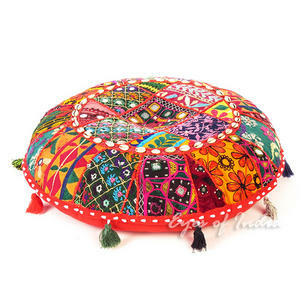 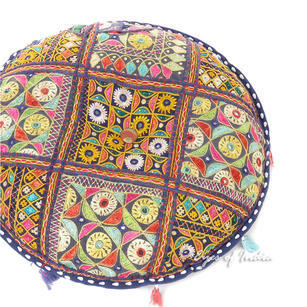 Burgundy Boho Red Round Colorful Floor Pillow Meditation Cushion Throw Cover Patchwork Seating - 32"